Over-Time Fansubs finally releases the subbed version of Kamen Rider W FOREVER: AtoZ/Gaia Memories of Fate Director's Cut! The release includes a softsub script for those who previously downloaded the RAW and an MKV softsub video! Set between Kamen Rider W episodes 44 and 45, the film focuses on the invasion of Futo by the Special Mercenary Force "NEVER" led by a man named Katsumi Daido. 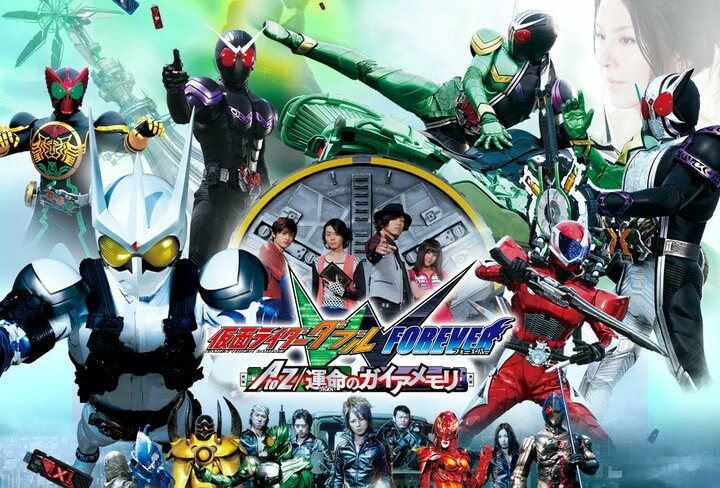 NEVER has discovered the existence of Foundation X's T2 Gaia Memories — 26 next-generation Gaia Memories created by Foundation X based on the Gaia Memories used by the Kamen Riders.